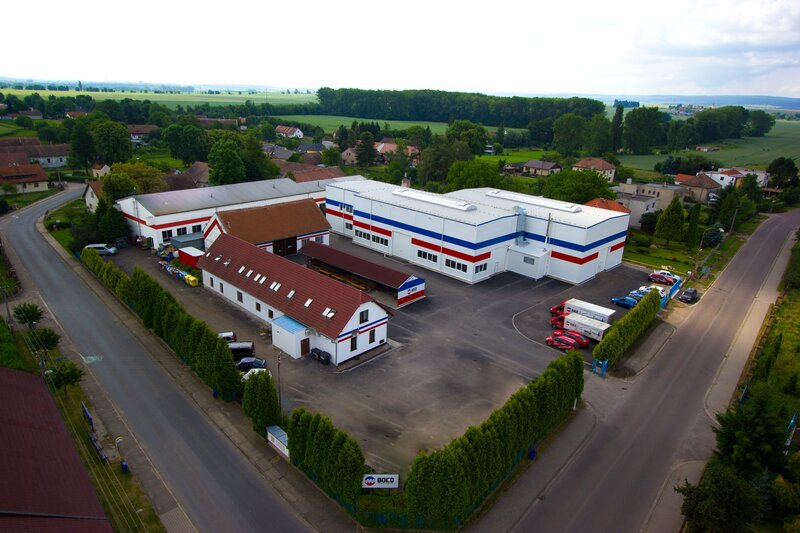 The company BOCO Pardubice machines was established in 1994 with a concentration on engineering production and these days employs about 100 employees. The main company production programme is production and renovation of nitrided and armoured screws, barrels and other components for one and twin screw extruders, injection moulding machines and blow moulding machines for plastics, rubber and food industries. An inseparable part of above-mentioned production is renovation and reconstruction of machines for plastics, our own construction development and projects including designs for increasing performance and modernization of screw geometries. We are experienced producers of new extrusion moulding machines and extruders including technologies for various production lines for processing plastics and recycling plastic products and waste. The company business activity concentrates on exclusive sale representation of extruders, extrusion moulding machines and technological lines for plastics and rubber. Another company production activity is a production of tinsmith's and locksmith's machines (lever shears, sheet-bending machines, bending-back machines, sheet marking machines etc.). A part of the locksmithery is an offer of machining realization (turning, milling, grinding, drilling, honing etc.) and special hard-surface work to order. The production of wheel clamps for private and terrain cars, trucks and motorbikes was added to the still running producton of tinsmith's and locksmith's machines. Wheel clamps are used both by the state and metropolitan police and leasing firms, hotels and lodgings (protection of the guests' cars), parking services (for bad payers of parking fees), building companies (protection of building machinery and a fleet from thieves), etc. In this field the company also carries on their own construction development for assuring high quality and utility of mentioned machines which turned out in a form of acquiring various patents and trademarks. © 2019, BOCO PARDUBICE machines, s.r.o.